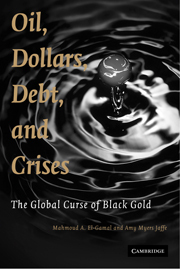 This book is designed for a one-semester or two-semester course in international economics, primarily targeting non-economics majors and programs in business, international relations, public policy, and development studies. 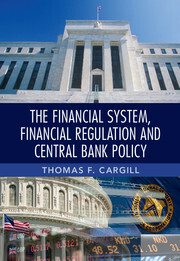 It has been written to make international economics accessible to wide student and professional audiences. 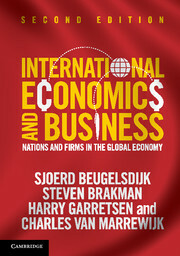 The book assumes a minimal background in microeconomics and mathematics and goes beyond the usual trade-finance dichotomy to give equal treatment to four “windows” on the world economy: international trade, international production, international finance, and international development. It takes a practitioner point of view rather than a standard academic view, introducing the student to the material they need to become effective analysts in international economic policy. The Web site for the text may be found at http://iie.gmu.edu. 24. Structural change and adjustment. Kenneth A. Reinert is Professor of Public Policy in the School of Public Policy at George Mason University, where he has won a Distinguished Teaching Award. He held past positions at Kalamazoo College, Wellesley College and the US International Trade Commission. He has published more than 60 articles and book chapters in the areas of trade, development and environmental policy. 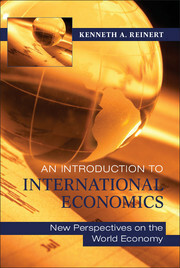 In addition to the first edition of Windows on the World Economy: An Introduction to International Economics (2005), his books include The Princeton Encyclopedia of the World Economy (co-edited with Ramkishen Rajan, 2009), Globalization for Development (co-authored with Ian Goldin, 2006; revised edition, 2007) and Applied Methods for Trade Policy Analysis (co-edited with Joseph Francois, Cambridge, 1998).